What if your case not only protected your phone from scratches and damage, but also charged your phone? These three cases do exactly that. They harness different power sources like solar power, wall plugs and wireless QI charging. Depending on your lifestyle and preference, one of these might be the perfect companion for you. If you are more of an outdoor person or simply happen to have access to sunshine - solar charging might be an interesting option. 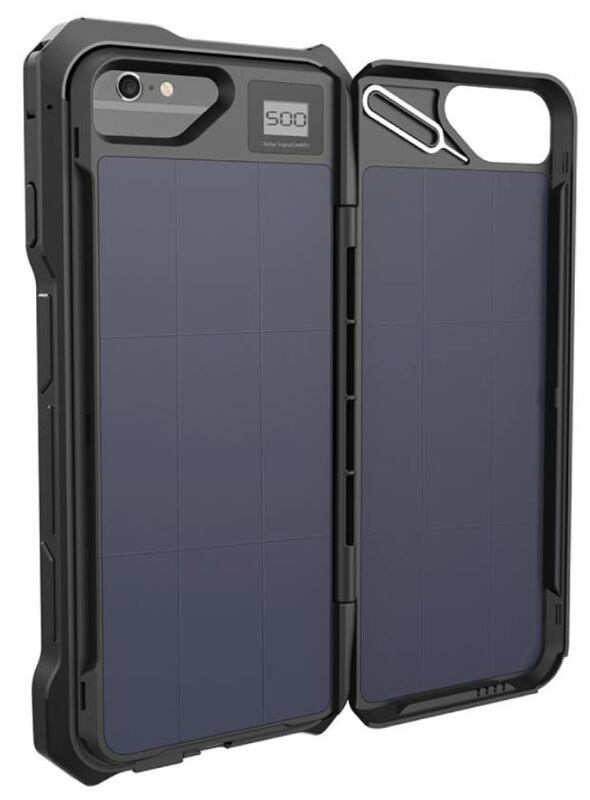 This iPhone case will charge your phone with solar power. The Glistco dual module solar charger case for iPhone 6 and 6S makes charging your phone a breeze. While protecting your phone from scratches and damage, it boasts a 2500mAh battery providing for over 100% extra battery life. Charge up using the micro USB port or simply expose the panels to direct sunlight. In bright sunlight, the solar panels produce up to 500 mAh / hr which equals to roughly 4hr talk time. The case provides speaker-sound-channels for great sound quality and grants access to the headphone port for normal headphone function. The package comes with a micro USB cable. If you have a wireless charging pad at home (or plan to buy one) or simply spend time in one of 4000 public spaces worldwide that provide wireless charging pads - the QI charging case for iPhone might be the right choice for you. This App will show you the nearest QI charging spot nearby. 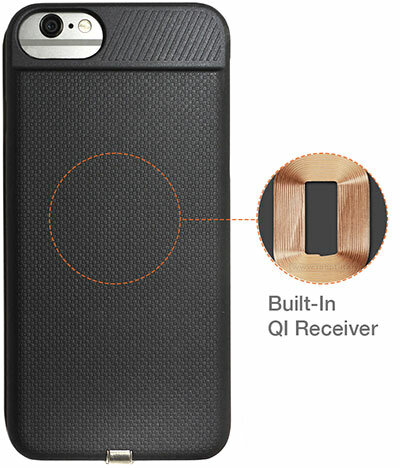 The LXORY QI case with a built-in QI receiver makes charging cables obsolete and redundant. Just place your phone on any QI charging pad and start charging your battery. Installation takes only seconds: Simply slip-on the case and insert the flexible lighting connector. The case provides full protection for your phone against damage / scratches. 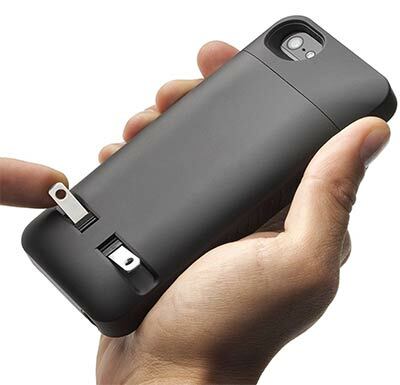 This iPhone case will charge your phone using any QI power source like transmitter-pads and Qi chargers in public spaces and cars. This iPhone case will charge your phone by simply plugging it into a wall power outlet. The Prong case for iPhone 5 / 5SE comes with integrated wall charger plugs. The plugs sit flat on the case and are easily deployed and retracted with the flick of a finger. A micro USB port lets you charge your iPhone using a micro USB cable (not included). Enhanced audio - the pocket plug is designed to enhance the quality of the iPhone speaker and microphone.